Hi. My name is Lauren and I’m excited to be the guest designer on We R Memory Keepers blog. I created a few layouts that I wanted to share with you. 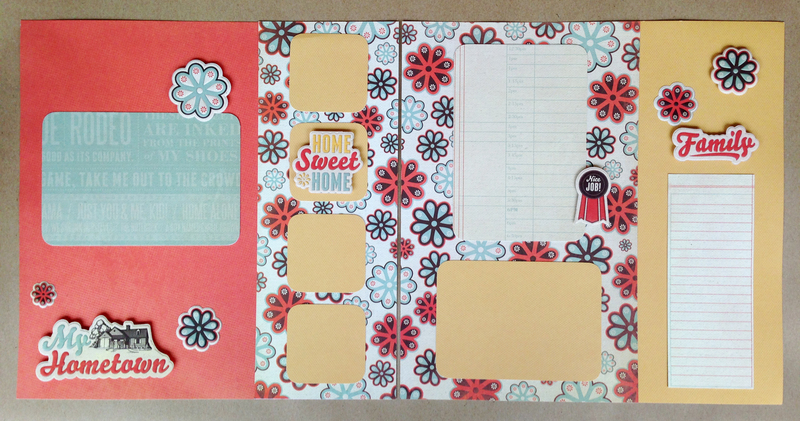 For the first two pages I used the Honey Bee paper and the Coffee card stock as my bases for my double layout from the Country Livin’ collection. I really like the design on the back of Scallop Stripes of the subway art style so I cut two pieces at 3 ¼” x 12″. I chose random sections in the page because I didn’t want to cut off any words. 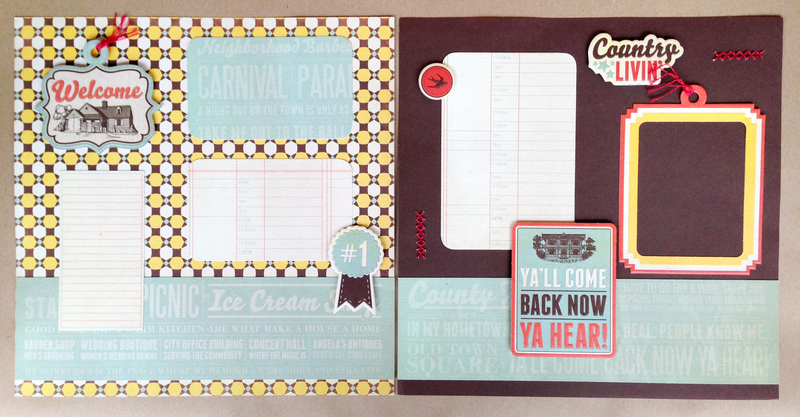 I glued these down 1/2″ from the bottom of both of the pages. Next I cut out my photo mats; the first two on the first page are using the Ledger paper as well as the Scallop Stripes paper. These are cut 5-1/4 x 3-1/4″, then I rounded the edges, and adhered the first about a 1/2″ from the top and 1-1/4″ from the right side of the page. The second mat is glued about a 1/2″ below the first photo mat and 1-1/4″ from the right side of the page. The photo mat on the right side is measured 6-1/4 x 4-1/4″, I rounded the edges and glued it down 1-1/4″ from the left side and 1″ from the top. 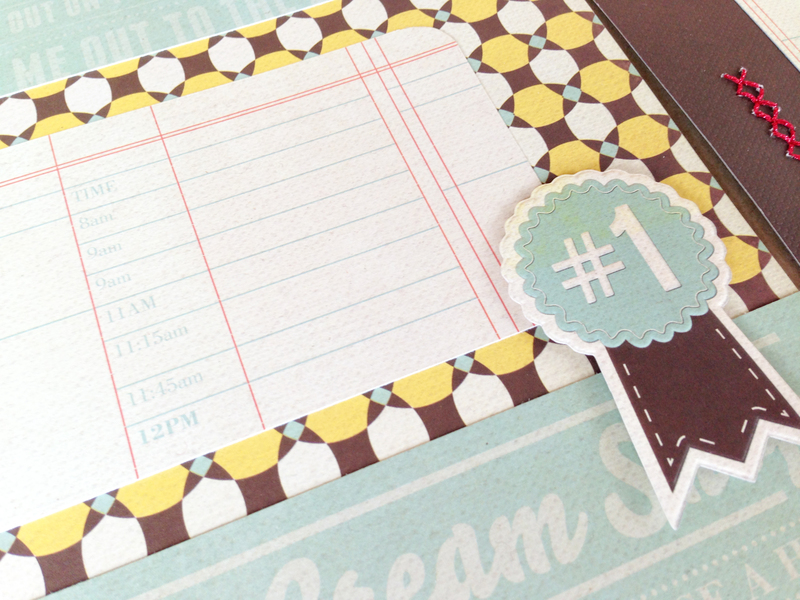 For the journaling piece I cut out a 5 x 2-3/4″ piece from the ledger paper. I cut around a rectangle design on the paper so the measurements are approximate. I glued this piece 2″ from the bottom and 1- 1/4″ from the left side. 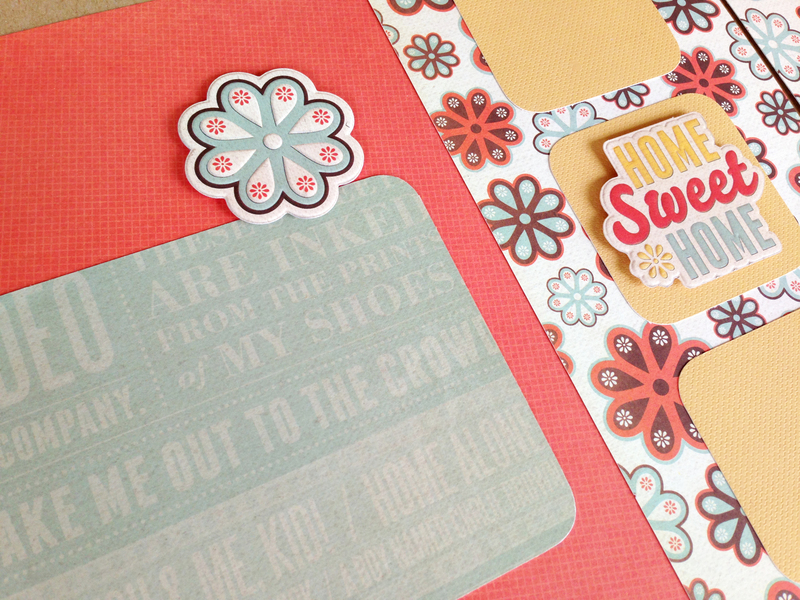 I really liked the Welcome tag and wanted it to be the first thing you would see on the left page for an embellishment. I used pop dots and adhered it to the upper left corner of my page. I didn’t use measurements to place it; I just centered it between my photo mat, journaling and the edges of the paper. Also, I really like the Ya’ll tag and I wanted to use the border of the tag as a photo border. I glued down only the edges of the left, right and bottom of the border piece so I could slide in a picture later. I placed it 1/2″ from the right and 4″ from the bottom of the page. Using the center of that Ya’ll tag, I used pop dots and placed it 3 ½” from the left and 1/4″ from the bottom of the page. Make sure you don’t put a pop dot beneath the upper left-hand corner so you can still put a picture underneath the tag. I had so much fun using this product, so I created another layout as a bonus. Thanks for stopping by.